If you consider yourself an artist, you have probably picked up a Moleskine sketch book at some point. 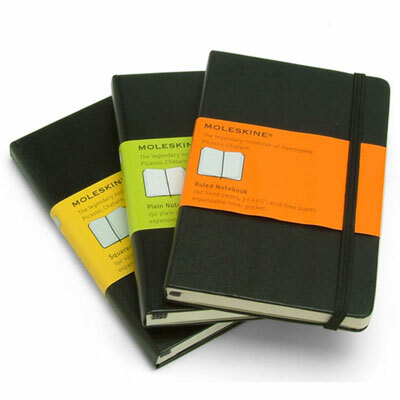 I bring mine everywhere I go, and I love it, so it saddens me to find out this morning that Moleskine is crowdsourcing a new logo for their blog Moleskinerie. DesignBoom is facilitating the "contest" and Moleskine is ready to pay $7000 (€5000) to find their new mark. It's hard for me to understand how a notebook that is synonymous with the design community can so irresponsibly make this kind of decision, especially when they are a very successful and thriving company. Why do they even need a mark at this point? AntiSpec who reported the story, has some conservative figures on how many hours would be spent on this project alone. Let's just say it's probably double what they're speculating. Crowdsourcing is not the answer, and designers that are looking for an easy way into fame and fortune are only hurting the industry they love. If you're reading this and plan on participating in this farce (or any other crowdsourcing), please think twice. Think about the damage you're doing to your community. There is no getting around hard work, like I've said before. You are only devaluing what we do and enforcing to others that it's nothing but pushing buttons on our keyboards. What do you think about this decision by Moleskine? Will you boycott the products? Take a few moments to tweet this post via @salvatier and share on facebook using the social media buttons below the comment's section. This is really important, and the only way to bring awareness to it is by sharing it with the world. It's time to act. And if you know more information on why Moleskine is doing this please share in the comment's section.